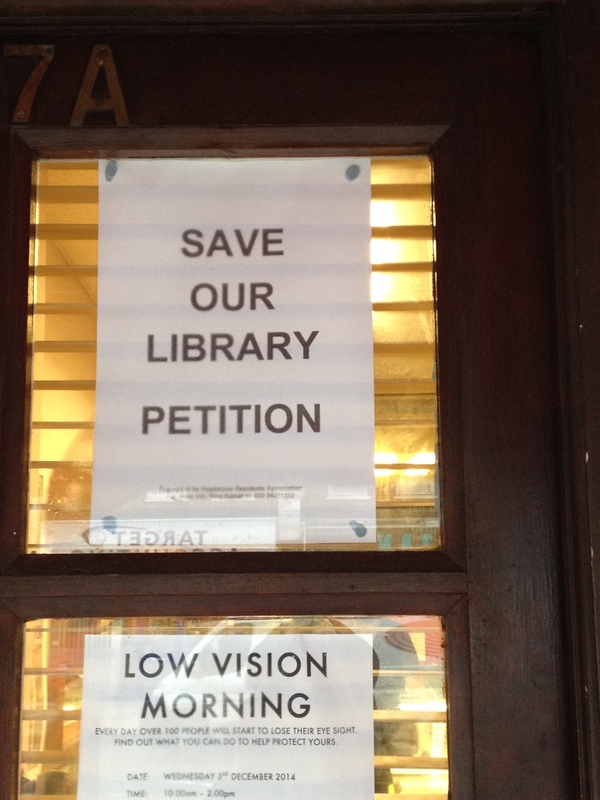 Harrow Borough Council plans closure for North Harrow Library, on Pinner Road. The local community are in uproar and have launched a petition to stop the closure plans. Speaking to local residents the feeling is the same; closure of the library would detrimentally affect the community. The library is a social hub for residents. With no community centre to attend the library is a keystone for residents’ social interactions. Local businesses have been gradually closing down and the effects on the local community are clear. They feel they are losing their identity and are worried for their own businesses future in the community. It is not just Harrow that is faced with the closure of it’s library. Closures have also been discussed for Bob Lawrence Library, in Edgware, Hatch End Library, in the Harrow Arts Centre and Rayners Lane Library, in Imperial Drive. In 2013, cuts to libraries increased, with libraries in Newcastle, Sheffield and Islington planned for closure. Sheffield city council were forced to depend on its community to help save 14 of its 27 libraries last year. For elderly residents in the community, a six-mile journey makes a quick trip to the library a much harder task. He also describes how the library is essential for the children who use it a lot as well as for the parents. It is a meeting ground for children and parents and keeps the community connected to each other. Neil Shah, a recent UCL graduate, has lived in Headstone North all of his life and has fond memories of the building: “I used to use it as a child so it’s quite a shock. In a close-knit community, the closure of the library is not as straightforward as it seems. Closing it down means potentially closing a lot of people off from each other. Business owners are also concerned as they realise with the number of closures increasing their business could be next. Although community members are rallying together to save their library, a list of signatures may not be enough to save it. SAVE OUR LIBRARY PROTEST TODAY @ 12 outside North Harrow Library.